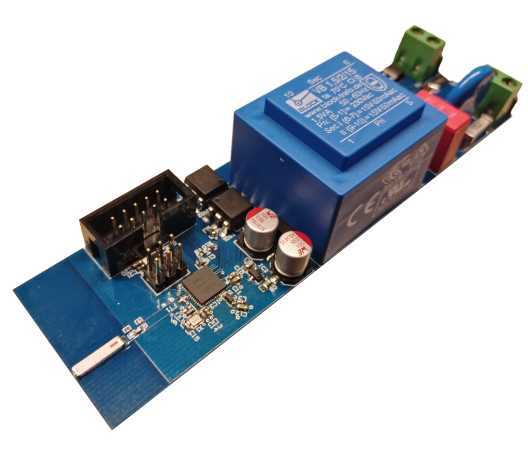 Although DPTechnics offers custom Bluetooth mesh lighting and sensor module design it's sometimes cheaper to just have a converter board to start right away without any initial investment. The DPTechnics Bluetooth Mesh DALI board will make it possible to attach any DALI driver/luminar to the Bluetooth Mesh. Together with the Bluetooth Mesh gateway you can create networks of smart lights at very low cost and with infinite expandability. The Bluetooth Mesh gateway comes with a beautiful HTML5 control interface to manage all the connected lights and sensors. We expect the modules to be ready early 2019 so contact us for more details. The Bluetooth Mesh DALI module runs on the powerful Nordic nRF52832 and implements the complete Bluetooth Mesh standard. This means that your DALI drivers, which you trust already for many years, will become smart and can interoperate with any other Bluetooth 5 Mesh enabled device. This will be the first smart lighting platform which doesn't create a vendor lock-in. In a mesh every device talks to each other. Because the devices all talk to each other the range of a Bluetooth mesh lighting platform is virtually infinite. You can save cost and installation time because there is no need to run extra DALI wiring, no more DALI power supplies, ... Just 1 single gateway for more than 1000 lights. The Bluetooth Mesh DALI module has built in humidity and temperature sensors. It als has a sensor extension port which means you can connect other sensors such as smoke detectors, push buttons, microphones, PIR sensors, radar, ... Together with the smart algorithms in the gateway this makes your lighting products ready for the smart lighting future. Make your DALI drivers smart. Contact us now.